A young female consulted in OPD for seizures. 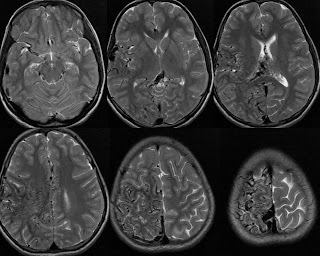 This non contrast CT study of Brain shows mild asymmetry of cerebral hemispheres and lateral ventricles, right side hemisphere is larger in volume than left. 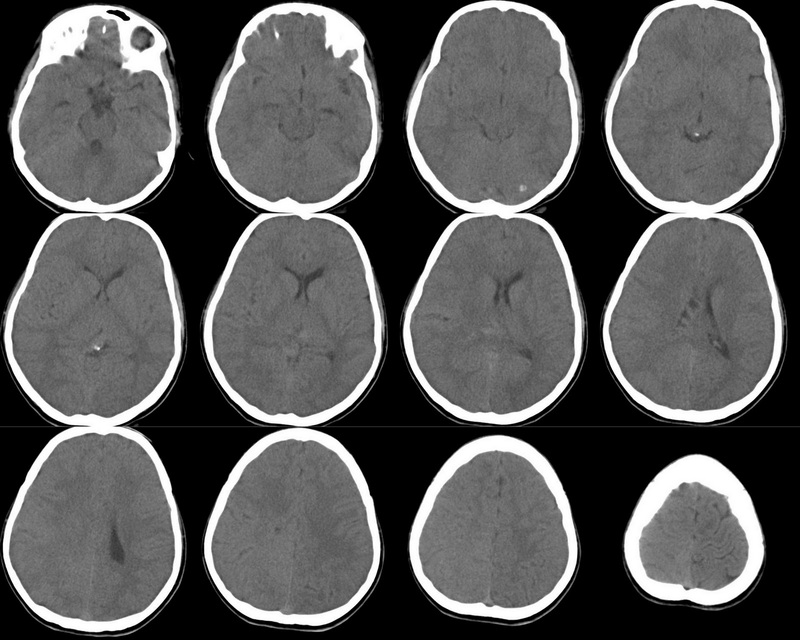 Right lateral ventricle is smaller than left (Rules out Hemi megaencephaly). 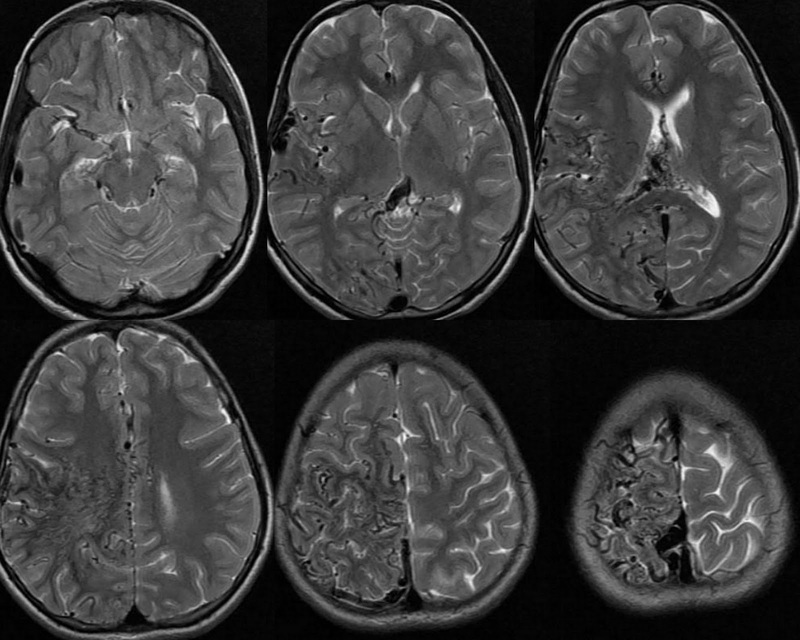 Again multiple nodular densities along the ependymal lining of wall of right lateral ventricle which needed further evaluation. 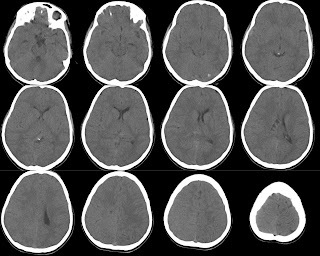 Multiple serpigenous T2 flow voids clustered in Right temporo parietal lobe suggestive of vascular malformation that to high flow malformation as signals are hyper intense on T2*GRE. 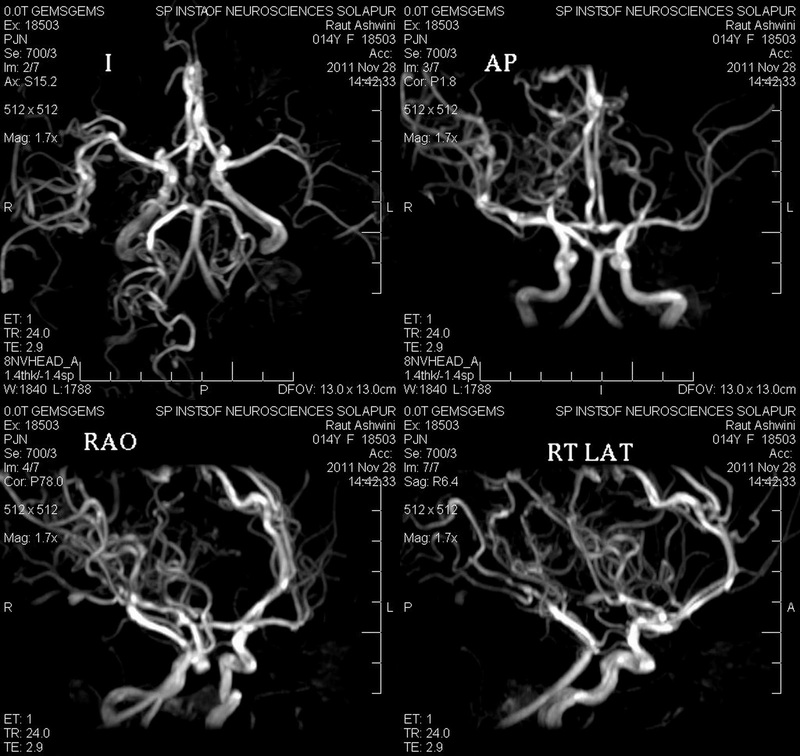 Imaging diagnosis : Arterio venous malformation (AVM). Right MCA, ACAs and PCAs are the feeder on MR Angio. 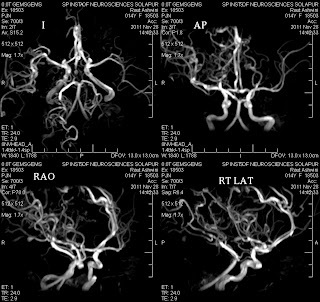 Draining channels appears to be superior sagittal sinus and deep cerebral veins.